Come down and play with me. 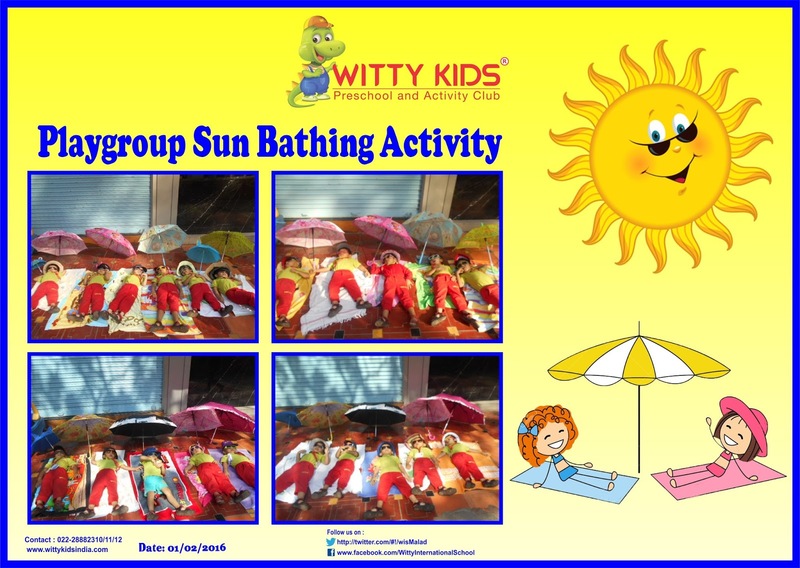 Sun Bathing activity was held at Witty Kids on Monday, 1 February 2016 for the children of Playgroup section. 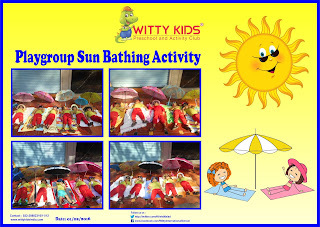 Children spent their day sun bathing under colourful umbrellas, wearing their sun glasses and hats. The little Wittians enjoyed their Sun bathing activity. Singing Sun Rhymes made the activity more joyful.